Health Insurance is a rarity and a foreign concept in countries like Cambodia where most people do not necessarily have the means to pay for the high premiums offered by international companies. 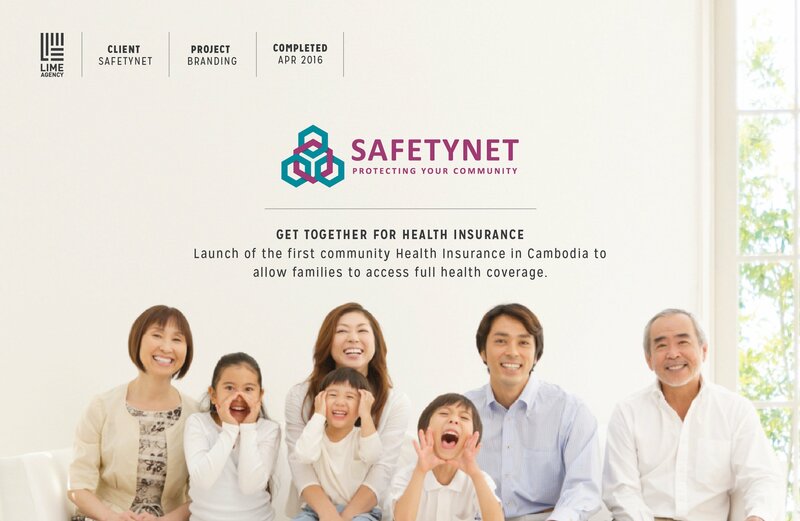 SafetyNet’s innovative community system allows families to access health coverage by spreading the risk among family members, while saving them from financial strain in the face of dire circumstances. However, SafetyNet needed to cleverly introduce the concept of insurance in a market that was not easily navigated. Lime Agency proposed an evolution of the initial logo concept of honeycomb to reinforce the idea of link and support within the community. 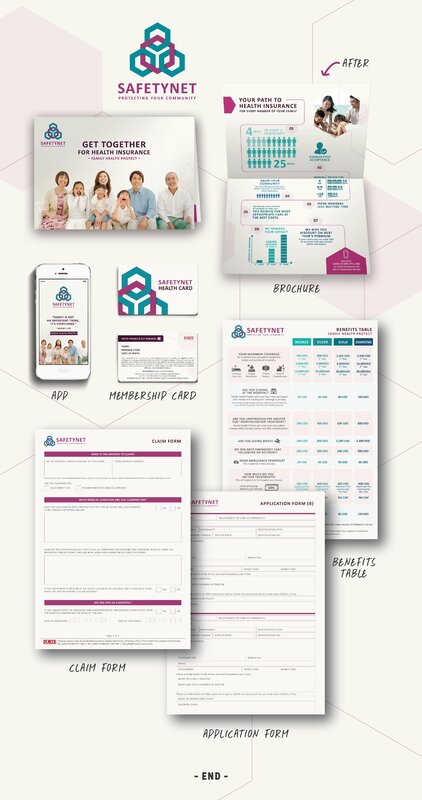 The warm colours introduced in the updated branding breathe transparency and honesty while a system of iconography helped simplify the understanding of the plan benefits and processes. The designs across all touch points maintained a strong brand consistency. 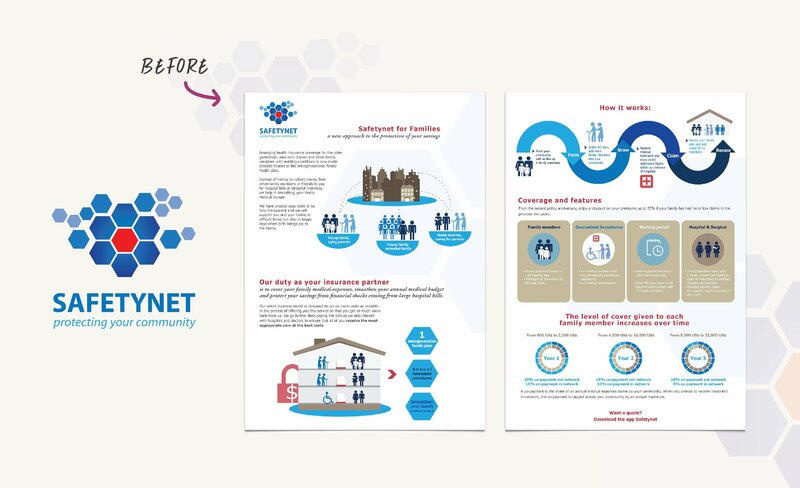 Launched in April 2016, SafetyNet proves to be a wide success with communities of up to 17 members.